Last week we finally got some rain – which was good. What was not so good, the absence of heating in the office. There was a gas leak in the building next to ours and the gas company shut off everything and is trying to repair the line. Sometimes it felt like outside was warmer than inside. I suggested we had a bet what would happen first: we’d get heat back or we wouldn’t need it any longer because of the weather. But my co-workers were so cold they didn’t want even to joke about it. We’ll see. After a break I’m back with my weekly round-up post. For those who’ve started reading my blog recently: I’m bringing up those posts from my weekly reading that created some lemmings, made me laugh or reviewed perfumes that I love. It doesn’t take much for me to get excited about a new Amouage release but Lucas (Chemist in the Bottle) did his part and so did Sheila (The Alembicated Genie). So of course now I want to try Beloved Man. Lanier (scents memory) reminded me of a perfume that I liked a while ago, planned to get a bottle of, never did and now I’m hesitant: will I still like Cinema by YSL after all the niche offerings I’ve been with since we last met? For now I’m fighting off these lemmings but I don’t know for how long. I do not really care for the new perfume from Boss (neither does Lorraine (Dear Scent Diary)) but I would love to have that sweater Gwyneth Paltrow wears on the picture for the article. But I won’t: even if I could get it I’m not ready to pay $500 for a sweater. Vanessa (Bonkers about Perfume): My conventional-looking scone paled into insignificance beside Tara’s humungous chocolate croissant, while Nick’s millefeuille was so substantial that he had to abandon it somewhere around the “cinq cents” mark. Blacknall (aperfumeblog by Blacknall Allen): Actually, I worry so much that I never wear patchouli myself, on the theory that, like a bra strap, she may be showing even when you don’t want her to. Some people even claim that they’ve been caught with their patchouli down while wearing Chanel’s Coromandel, which is about as high end as it gets. Is anyone really up for this kind of exposure? Do you want to spend all day worrying if your patchouli is clean in case you get hit by a bus? Suzanne (Eiderdown Press) reviews one of my favorite Guerlain‘s perfumes: Chamade couples the vibrant smell of Spring—of yellow daffodils and brilliant greens—with a base accord that is the very hallmark of what one expects of classical perfumes: a richly cosmetic scent that conveys a feeling of grandness and sophistication. If I were going to paint a picture to describe the smell of Chamade, it would be of a dense cluster of daffodils bursting into bloom in a stately marble planter, as this perfume really seems to suggest that there is something excitingly new and sunny issuing forth from a classic antiquity. If you were waiting to try or to order a bottle of the new all-natural perfume Cocoa Sandalwood from Sonoma Scent Studio you’ll be pleased to hear that Laurie has put back a purchasing option. Now you can order all samples (1 ml and 3 ml) as well as any size bottle of Cocoa Sandalwood. Trying my best NOT to let the patchouli hang out today by wearing Philtre d’Amour. Hope your heat comes back on in the office before you all freeze! I haven’t tried Philtre d’Amour but I checked basenotes. I hope your day went by without any close encounters with any vehicles. Agreed on the AG Petite Cherie…I bought a full size bottle when it first debuted at Saks Fifth Avenue in NYC…it is the very best pear EVER!!!!! Haven’t smelled it in over 15 years but it lives in my olfactory memory :) !! No heat in the office? I’d be wanting to know if I could work from home until they got that fixed! Luckily it’s just cold but not freezing in the office. Space heaters and heating pads are very helpful. 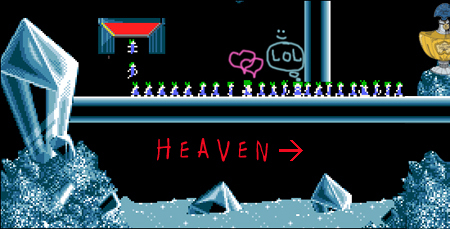 Thanks for featuring me in your lemmings this time. Hope you’ll be able to sample Amouage Beloved Man somewhere nearby soon. If not, then please let me know and I’ll share some with you. It’ll be my pleasure! And great laughs, lemmings, loves, especially Blacknall. I hope I’ll get to test Amouage Beloved Men before our next samples exchange. But thank you for the offer. Keeping my fingers crossed for than. I’ll keep at least two sprays of it for eventual emergency for you. Thank you for featuring me as well :) $500!! I’m hoping that the heat comes back on before we no longer need it. Me too! But, as I said, we will see ;). Thanks for the shout out from my perfume crawl report : – ). Meanwhile I loved Blacknall’s patchouli-as-underwear image! And Suzanne’s evocative description of Chamade. I must say I gave away my small bottle of Cinema, as it was too rich and fuzzy or something. Can’t put my finger on it, but it didn’t quite work for me. I’ll try to get a sample of Cinema before comitting to a full bottle. I always enjoy your Laughs, Lemmings, Loves Episodes…this was how I got introduced to some perfumeblogs! I have a sample of Cocoa Sandalwood and I can’t wait to try it. I got nicely sidetracked with trying out Trayee, Mohur and Bombay Bling. As to no heat in the office, I hope you have other work location alternatives as it is no fun being bundled up inside…plus I think one’s brain processes things slower when it is cold. I drink a lot of hot drinks and spend most of my time hugging a heating pad (or sitting on it). I am behind on my reading, so now I cannot WAIT to read Blacknall’s patchouli post. :) And thank you for the heads up on Cocoa Sandalwood. I am one who has been waiting, so yippee! I know you turned down Lucas’s offer for a sample of Beloved Man, but I’m a wee bit closer (US based), and what I have was gifted to me and I’d love to gift it to you. Share the niceness of Amouage as it were, plus I have a sample of recent Cinema as well. You can hit me up at my e-mail c grasher at gmail dot com. I won’t refuse your kind offer, thank you. Let’s see if I’ve got anything you might like to review. I haven’t had a chance to try any of the new Guerlain Middle East exclusives, so that would be an option for swapping. I’m also weak towards vintage and L’Artisan. I knew you’d love Chamade. Now it’s spring I really fancy a bottle of the parfum myself. Hope the heating gets fixed soon. Chamade bottle is so beautiful! And I really like the perfume (in extrait). I’d be happy to send you a decant of Cinema! I found a huge bottle on discount last year and I’ll never use it all. Email me (elisagabbert at gmail) to confirm your address is the same? And I’ll send it on over!